Racine, WI: After a year of defending and enabling the worst abuses of Donald Trump and pushing a massive tax giveaway for corporations and the wealthy, it appears that even Paul Ryan has realized that he can’t beat a US Army veteran, cancer survivor, and iron worker who will put the priorities of hard working Americans first. A recent survey conducted by the Global Strategy Group showed that Ryan’s poll numbers are tanking at home, with 47 percent of voters in WI-1 saying they view Ryan negatively, compared to just 46 percent with a positive impression — a net drop of 9 points since August. Despite having a fraction of the Speaker’s name recognition, Bryce is already within striking distance of Ryan, trailing 46 percent to 40 percent. 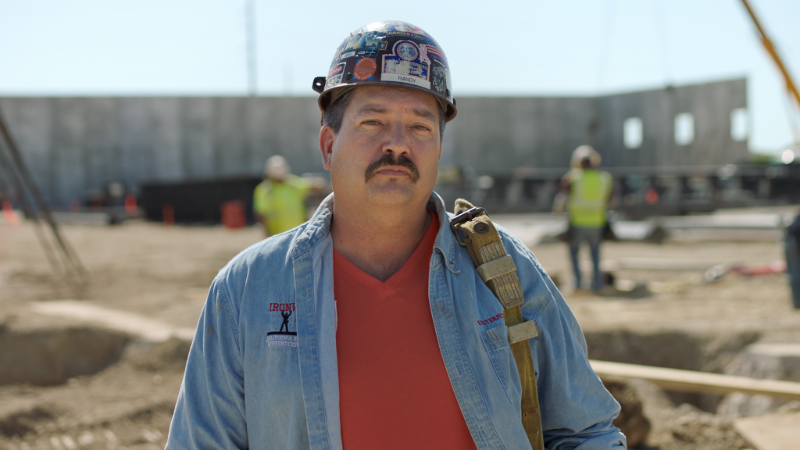 When voters learn about Randy Bryce, he pulls into the lead. “Ryan would rather retire than be held accountable for what he’s done, but one way or another, Paul Ryan will be out of a job in 2018,” said Bill Hyers, chief strategist. This guy is drinking his own Kool-Aid!!!! We’ll see. Ryan knows after he passes his agenda, he will be worth more on the paid speaking circuit of right wing think tanks than the beating he will get if he tries running again. Cathy Myers and Randy Bryce are two candidates (so far) that will oppose Paul Ryan in 2018. It is time to start comparing the two…see press release from each (below/above). Randy who? Looks like he interviews himself a lot, probably because no one else is interested in what he says. Lying Ryan been living off the hard working middle class his whole life. Ryan is just the 1% whipping boy. There’s a place in hell waiting for him. Taking health care away from the working poor and handing the 1% huge tax brakes. Don’t forget to pay your child support, Randy. But can Randy Bryce beat his primary opponent, Cathy Myers? Bryce won’t even acknowledge her. Sounds like Bryce is the one that is afraid. It’s Ryan’s seat as long as he wants it. This mook has no shot. Paul Ryan is nothing more than a toady for Trump! We don’t need him or his crypto-fascist enabling, far right wing corporate huckster supporting charlatanism! Go get em Iron Stache!! Go get em Iron Stache!! Here comes the fork, Paul.